The Greenbrier Historical Society is very excited to announce that it will begin to stabilize and restore the Blue Sulphur Springs Pavilion thanks to the dedication of several wonderful individuals. On April 16, 2013 in the office of Attorney Jesse O. Guills, Jr., who prepared the deed as his gift to the people of the Greenbrier Valley, Mrs. Rebecca Fleshman Lineberry donated the Blue Sulphur Spring Pavilion and 2 acres surrounding it to the Greenbrier Historical Society for restoration and preservation. Unlike most springs which originate on hillsides, the Blue Sulphur Spring bubbled up from the ground in the middle of a large field, discharging as much as 15 gallons of water per minute. It was first known as a lick, where herds of buffalo and other animals would gather. In 1816, the land was purchased by Joseph Martin and Charles Caraway for the sum of $3000. They made a few improvements, building wooden or log cabins for those who came to the spring for its healing powers. After a few years, Martin and Caraway sold the land to George Washington Buster for twice what they paid for it. 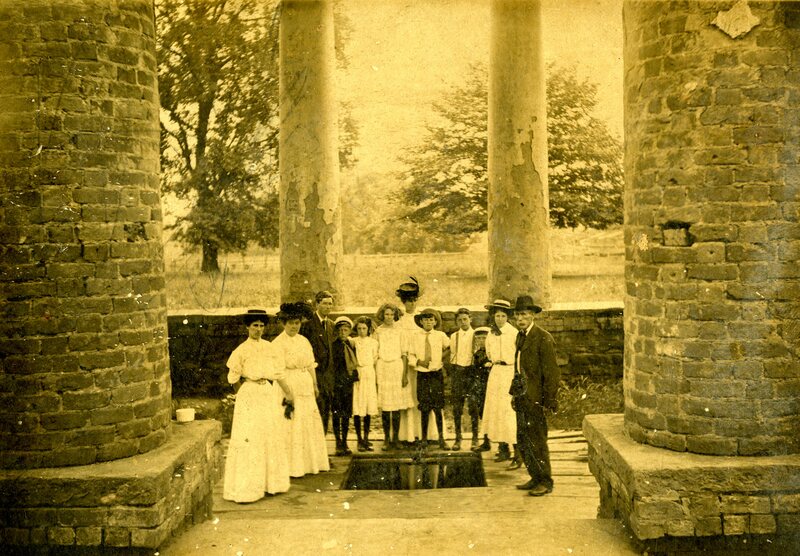 In 1834, the Blue Sulphur Spring Company was officially incorporated by the state of Virginia. The Blue Sulphur Spring Resort consisted of an elaborate brick hotel, 108 feet long, 50 feet wide, and 3 stories tall. The hotel had a grand ballroom, dining rooms, and sleeping quarters for guests, who came from as far away as Philadelphia, New Orleans, and even Europe. Beside the main hotel, brick cottages and frame cabins were built for additional guests – increasing the resort’s capacity to as many as 220 individuals. 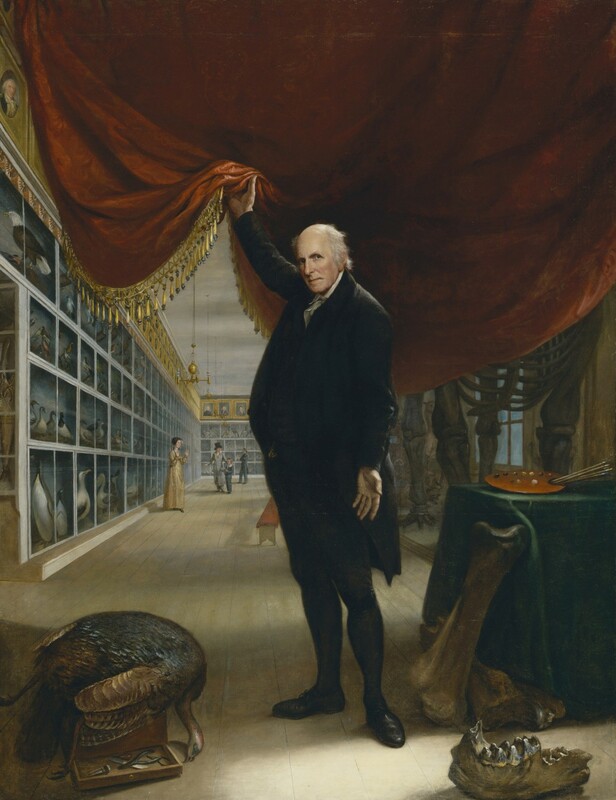 A few notable visitors include Andrew Jackson, Robert E. Lee, Henry Clay, and Jerome Bonaparte. The spring itself was enclosed with a marble slab, 5 feet in diameter. A large square Greek-style temple with 12 round brick columns encased in plaster was built to cover the spring. This springhouse is the only remaining structure of the original Blue Sulphur Spring Resort. In 1840, Dr. Alexis Martin, a surgeon in the Imperial Army of Napoleon, came to the Blue Sulphur Spring Resort and headed the medical staff until 1859. He claimed the water would “aid in the cure of dyspepsia, hepatitis, indolent ulcers, skin diseases, nervous conditions in women, and other ailments.” Bath houses, steam rooms, and mud baths like the ones in Europe were built. In 1859, the resort was floundering and its owners decided to sell it to the Baptist Association who began Allegheny College, a private academy that offered courses in the languages, science, history, and philosophy. After a successful first year, Allegheny College anticipated a large student body in 1860. Unfortunately, two serious things happened to hinder the college’s future success. First, a fire, believed to have been accidentally started in the laundry, destroyed the resort’s main building. Second, the outbreak of the Civil War caused many students to leave school and join either the Union or Confederate armies. Allegheny College officially closed its doors at the end of its second school year. Throughout the Civil War, troops passing through used the Blue Sulphur Spring as a campsite. Most notably, a confederate regiment from Georgia camped at the spring in the winter of 1863. Not used to the climate, approximately 100 of them became ill and died. They were buried high on a hill about 200 yards northwest of the Blue Sulphur Spring. In 1864 Union troops burned, either deliberately or by accident, all that remained of the former Blue Sulphur Spring Resort with one exception – the Greek-style Springhouse. Soon after the war, ownership of the property returned to George Washington Buster when the courts ruled that the payments made by the Baptist Association were not valid since they were made in Confederate money. The property was in the possession of Bernard H. Buster when he sold it to Lewis A. Fleshman on April 24, 1964. 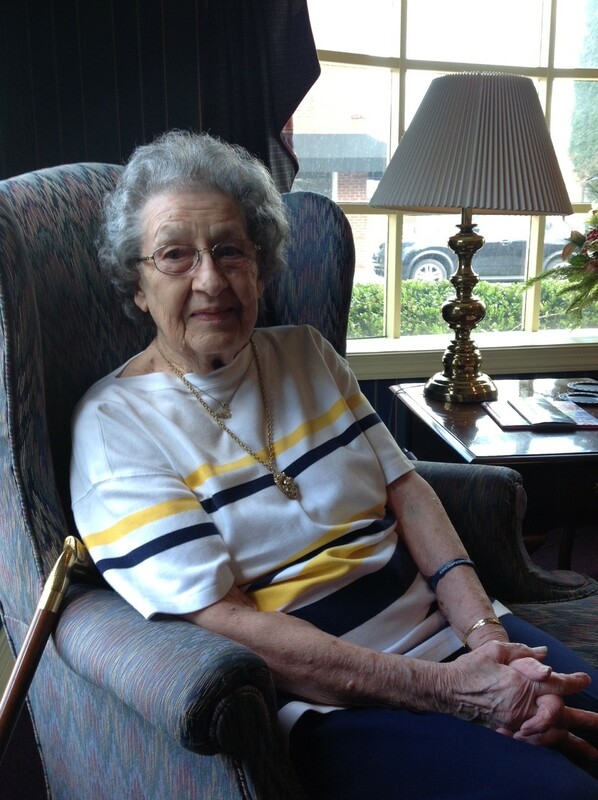 Mrs. Rebecca Fleshman Lineberry inherited it from her father. The Blue Sulphur Spring Pavilion was added to the National Register of Historic Places in October 1992 and has been named to the Preservation Alliance of West Virginia’s 2013 Endangered Properties List. The Endangered Properties List brings attention to at-risk properties that contribute to our local heritage. Lynn Stasick, representing the Preservation Alliance was present at the deed signing. The “Friends of the Blue” Committee of the GHS, chaired by Alex McLaughlin, will manage the restoration process. 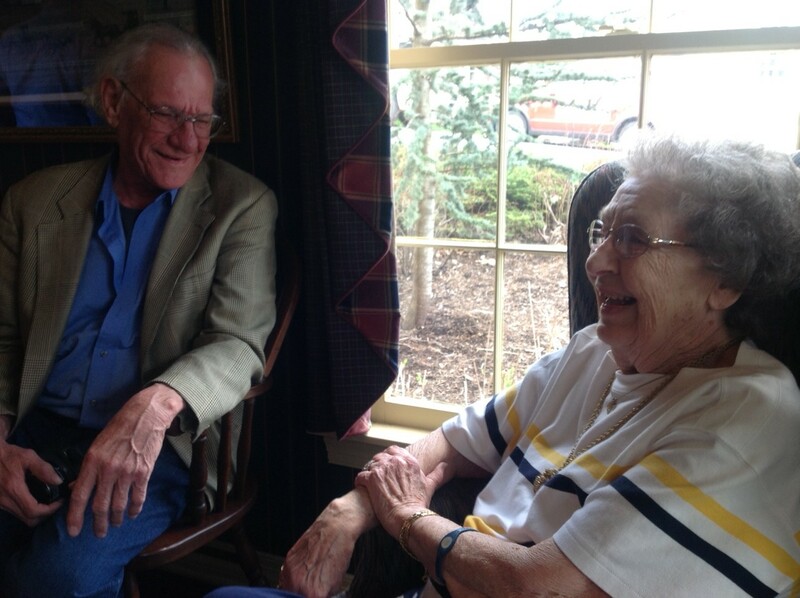 Other members include Cathy Bolt (Mrs. Lineberry’s daughter), Irma Cadle, Skip Deegans, Raymond Tuckwiller, and Margaret Hambrick. 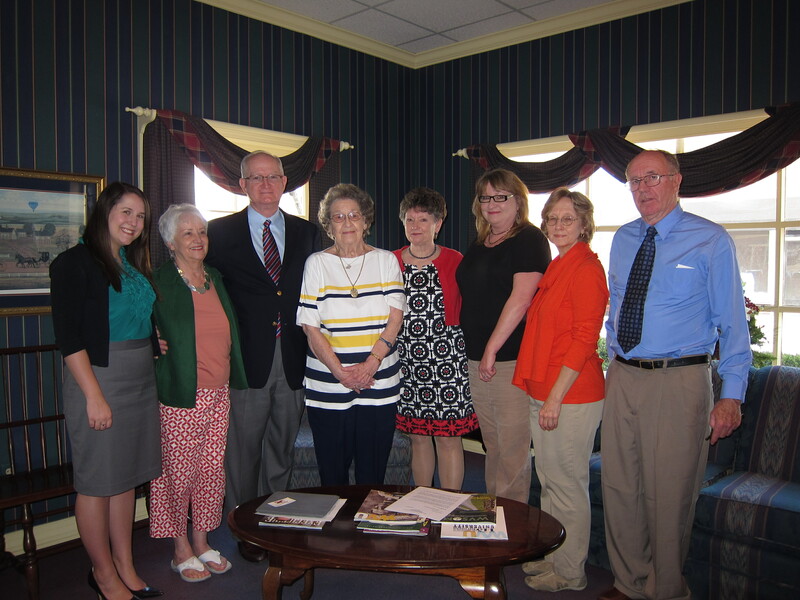 L-R: Elizabeth McMullen, Executive Director, Greenbrier Historical Society; Karen Lee McClung, Board Member; Ron Kirk, Vice President; Mrs. Rebecca Fleshman Lineberry, donor of the Blue Sulphur Spring Pavilion; Margaret Hambrick, President; Cathy Bolt, daughter of Mrs. Lineberry; Karen Fankhauser, Board Member; and Alex McLaughlin, Board Member and Chair, Friends of the Blue Committee. On Tuesday, March 19, 2013, Governor Earl Ray Tomblin presented a $35,000 Survey and Planning grant to the Greenbrier Historic Landmarks Commission in partnership with the Greenbrier Historical Society – Friends of the Blue Committee. This grant was provided by the Department of Education and the Arts through the Division of Culture and History. The Greenbrier County Commission has pledged to match the grant when the property is donated to GHS. These grant funds will provide for an architectural and engineering study of the Blue Sulphur Spring Pavilion to determine the best way to proceed with its restoration and to develop plans and specifications for bidding the work. This entry was posted in Local History, News and tagged Blue Sulphur Springs, Greenbrier Historical Society, Greenbrier Valley by greenbrierhistorical. Bookmark the permalink. 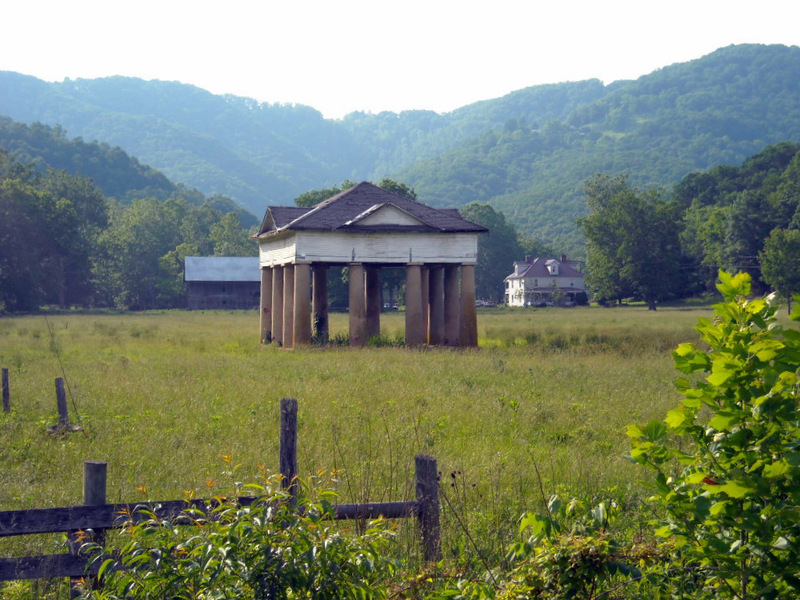 Read good news for the Blue Sulphur Springs Pavilion, a WV Endangered Property.